Please refer Pressure Cooked Baked Wheat Cake for preparing the batter. Take the Idli pot and fill water for 1 inch height. Place it on the stove and keep only the bottom Idli plate. If your cake mould is in round shape, then place a ring on the Idli plate and then place a wider plate on the ring. It helps the mould to stay in the right position while steaming. If you are using tumblers as mould, place them directly on the Idli plate. No need to use ring here. Let it steam for 15 minutes. Now open the lid and insert a long stick in the middle of the cake. If the stick comes out clean, we can consider that cake is cooked in the right consistency. Turn-off the stove. 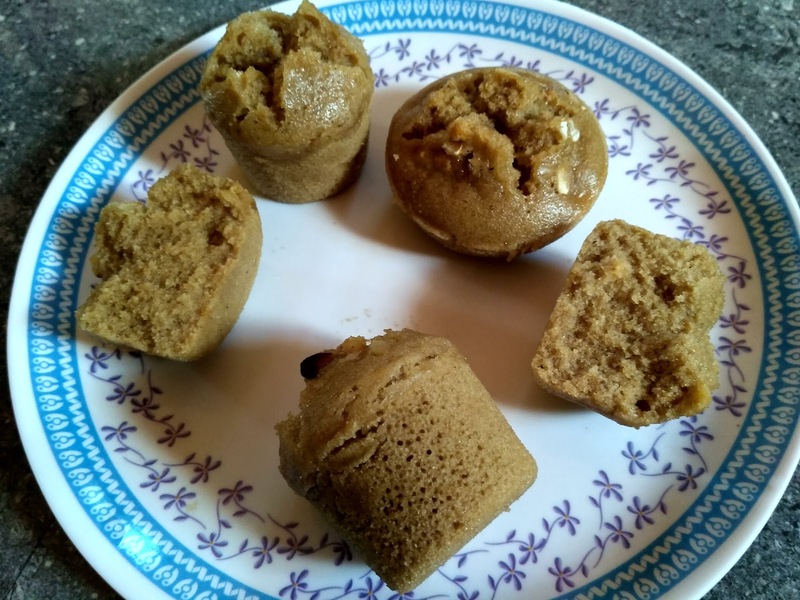 Remove the cake mould from Idli pot and let it cool down for some time. Turn the mould upside down on a plate. The cake will come out on its own. If required, use a spoon or knife to take the cake out from the mould. Let the cake cool down for few minutes and then enjoy eating it. Please refer this video to understand the steaming process better. 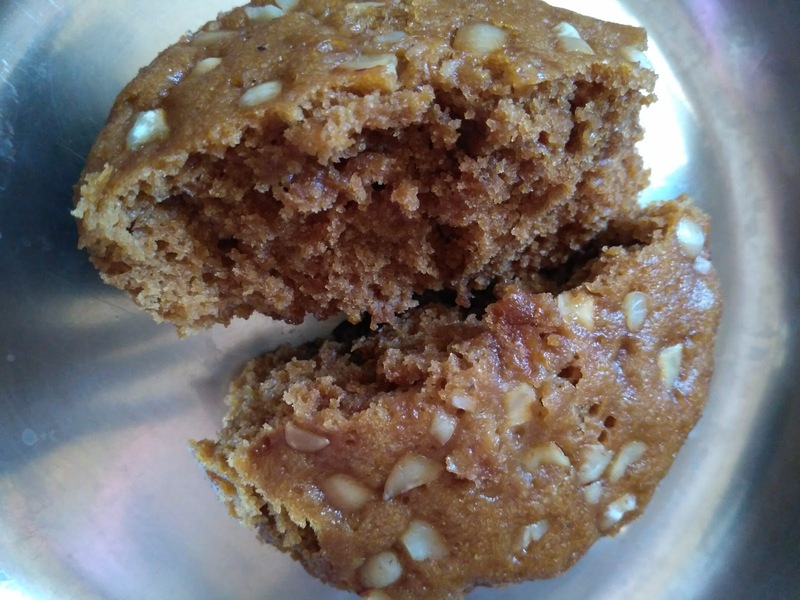 Usually, the cake is prepared by using unhealthy ingredients like Maida/Refined all purpose flour, White sugar, Baking soda and Baking powder, etc. I was trying to find out a Satvik method of cake preparation online and found few videos were useful. I have simply collated all the information learnt from them and come to this easiest method. After reading this post, a beginner may feel that the cake preparation is a lengthy and a complex process. But it is not so. One should try this just one time, and then they will change their perception. The Dry yeast packet is available in Super markets and Essence stores. If you buy this pack and keep it at home, you may use it handy whenever you want to make Cake and Bread. The consistency of Cake batter should neither be too thick nor too thin. Add little more wheat flour if it is too watery. Similarly, you can also adjust sweetness as per your taste. The taste of cake is slightly different in steaming method and baking method. Try both types and then choose your preferred one. 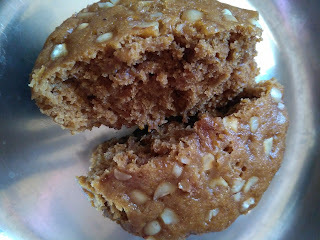 I have also tried to make cake using only with millet flour (Sorghum and Pearl millet) following the same process. But it was not successful. When I browsed online, I saw the recipes of millet cakes in which people also add wheat flour. As per Life Natural concepts, we stick to mono Carbohydrate concept. Hence I did not want to attempt that.